The Band of Brothers (Hermanos)! Godly Men on the Border! The Lord has richly blessed me with a number of godly men that I serve with on the border. 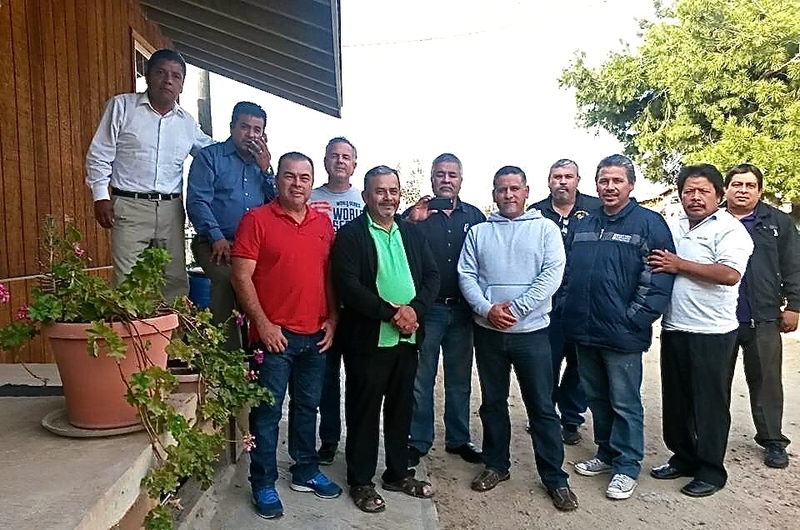 Each week I connect with Mexican pastors. My hope and desire is that I can be a support and an encouragement to them as they lead in the churches they minister in. I’ve grown to love these men. They are truly hermanos in Christ! 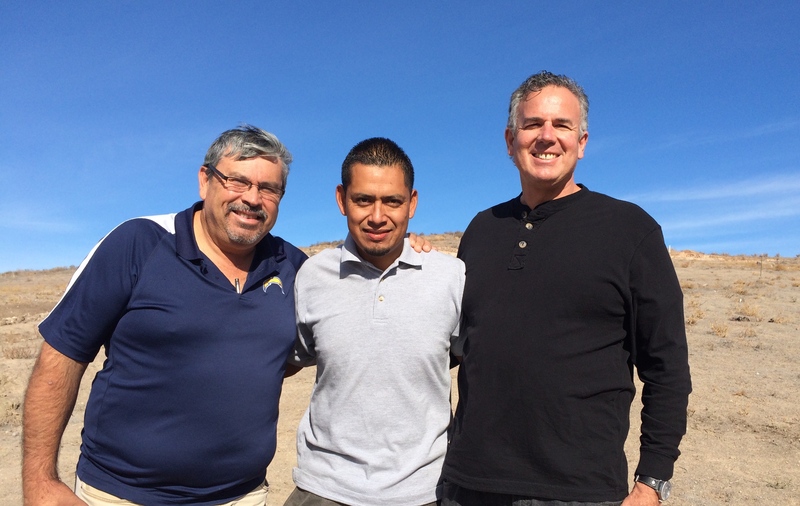 Pastor Daniel Nuñez the leader of Lo Mejor del Trigo and Victor Bravo (in the middle), one of our newest church planters with Dave. I met the leader of Lo Mejor del Trigo (LMT), Pastor Daniel Nuñez about 5 years ago. The Lord has given us some wonderful opportunities to minister together, and as we have seen God move the Lord has also deepened our friendship. Daniel has opened the door for me to get to know the 25 plus pastors that work with LMT. The Lord is also opening doors and giving me opportunities to get to know and grown closer to the pastors from the National Presbyterian Church of Mexico. They too are a great group of leaders, who love the Lord. We are beginning to work on some exciting new projects! With both of these groups we are seeing God do a marvelous work through the new churches and the expansion and outreach of the church. I give thanks to the Lord for this band of brothers! The same creative and powerful God who made the beauty of the Sunset is working in powerful ways on the Border! Some of the pastors I’ve grown especially close to. I’ve come to realize as I seek to minister to them and to encourage them in their work that they minister to me as much if not more. It’s such a rich and wonderful blessing. If you’ve followed our journey you know that our family has been going through some deep waters. These guys and their churches have stood with us. Almost daily I get a note or a phone call from one of them telling me they are praying for us. Some of them are even leading their churches through a season of prayer and fasting for our family. That is very humbling to realize they love and care for us so much and it truly lifts us up. I do pray that I can be even somewhat as encouraging to them as they have been to us. We join hands and come together and pray that the Lord might have compassion, that the Lord might move in our midst, so we see his Spirit going before us and preparing the way. O Lord, do a mighty work. Open the hearts of men and women as the gospel goes forth. Thank you Jesus for hearing our prayers! One of the highlights this week was witnessing the completion and dedication of the home-built for a doctor that ministers with my friend, Daniel Nuñez and Lo Mejor del Trigo. 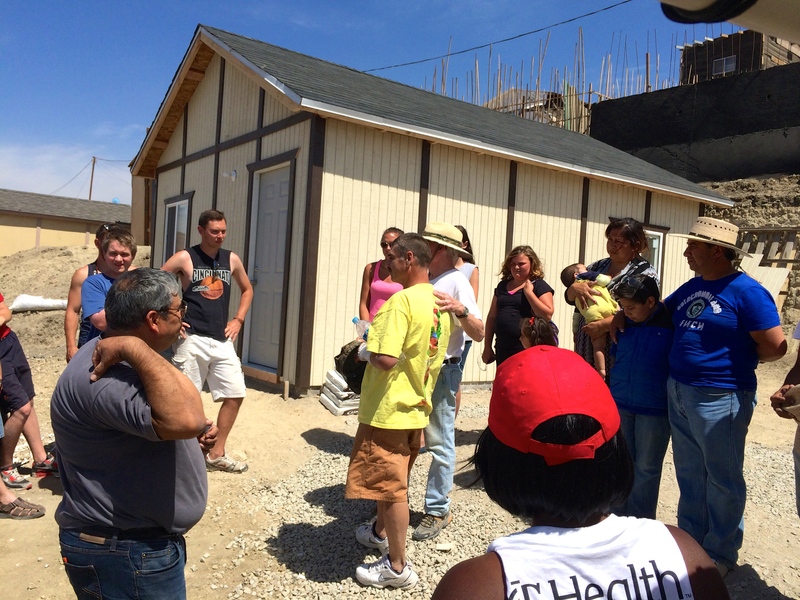 Our summer intern, Nicole Silva worked with the church from Ohio that came down to build the house. One of the positives for us when we have summer interns is that it enables us to extend our reach. Nicole is gaining some valuable ministry experience and she is helping us to further our relationship with our ministry partners. Dawn and I enjoy being able to work with interns. We like the opportunity it gives us to build into their lives and to give them new experiences in ministry. Our hope is that these experiences will have a life lasting impact. One of our hopes and prayers is for the Lord to grow our intern program over the years. Nicole wasn’t able to be involved in building the home for the doctor for the whole week, but she was able to help them. She met some people from a different place, and ministered alongside them. She also touched the lives of some of the Mexican children that showed up while they were working on the project. 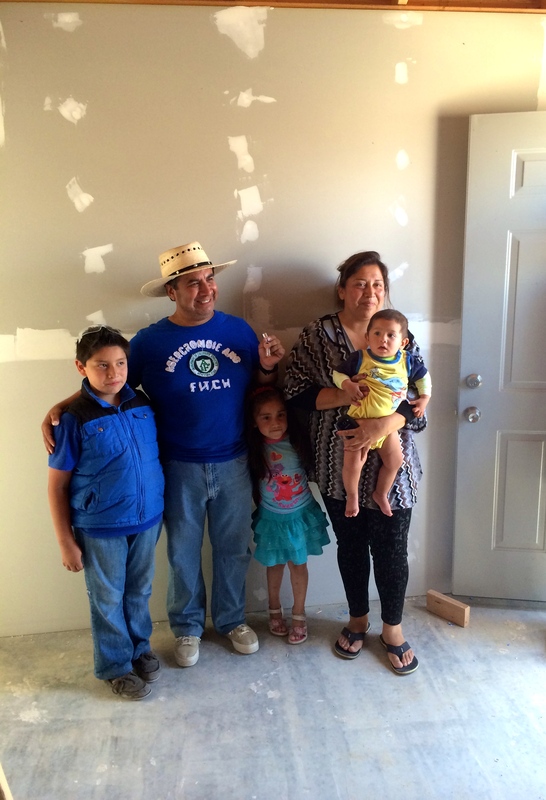 What a joy to see the smile on the faces of the families that are in need that we build homes for. The awesome thing about this particular build is that Jesus is a doctor and he plans on helping Lo Mejor del Trigo with their outreach in the community. There are many needs the people have, and often they are unable to pay for the medical attention that they need. You might remember last week we held a large medical clinic with a number of doctors, nurses and dentists coming down from Los Angeles, Orange County and San Diego. I loved playing a part of that outreach. Many people come into the church through medical ministries. We pray that this ministry will grow. I’m in conversation with two other churches right now that have an interest in bringing down medical professionals to minister in Tijuana. One of the benefits about having Jesus and his family in a community near El Niño is that they will be continually connecting with the people. They will be able to love and minister to the people. Jesus’ wife, is named, Dulce, which means sweet. We pray that the sweetest of Christ and the gospel will emanate from this family and their ministry to the people. Pray with the us that the Lord will continue to increase our borders as the gospel goes forth! 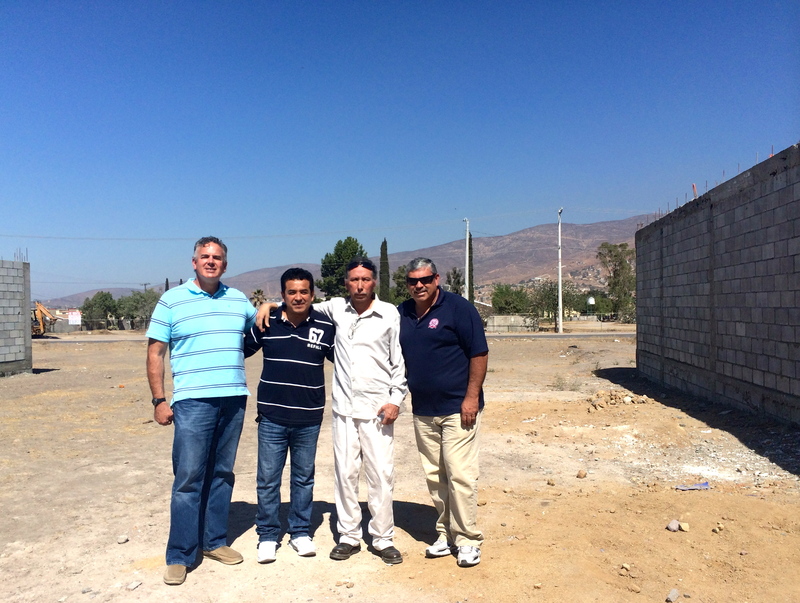 Earlier this week I met with Daniel Nuñez in Tijuana, and we visited a new site for a church plant. 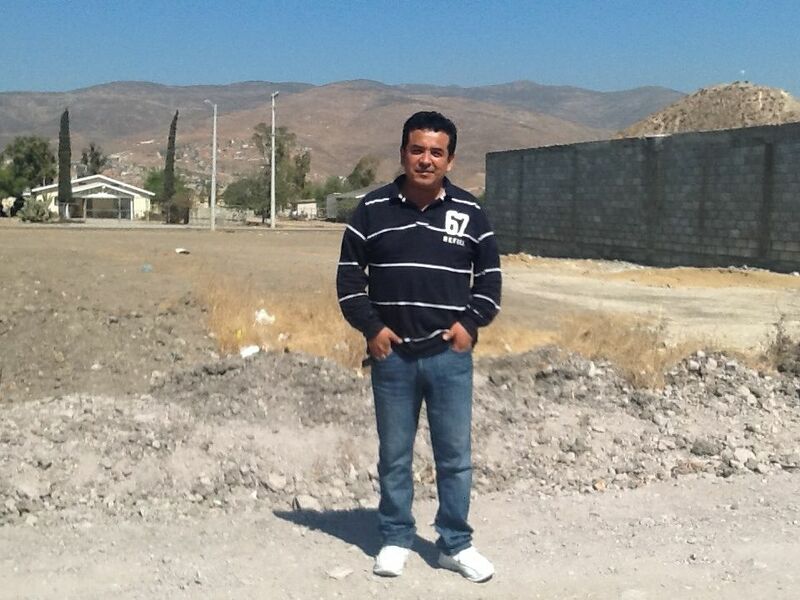 The site is in an area of the city called Valle de Verde, which means Green Valley. It’s not very green now ;). We also met with the pastor that is already working on starting up this new work. Pastor Ivan Casados and his wife, Rocio. 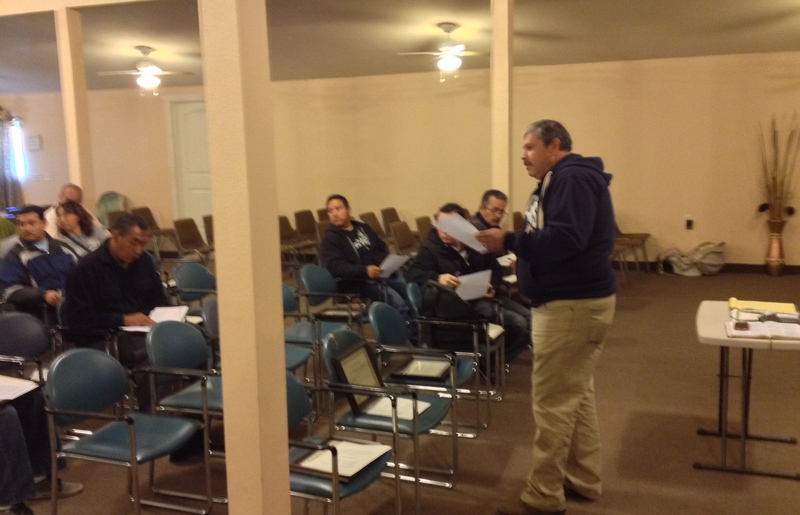 Pastor Ivan has started up a small group that will be the committed core for this church. A number of these people a from an area nearby called, Rivera del Bosque, which means brook of the forest, so they’d like to call the church Lo Mejor del Trigo – Rivera del Bosque. I love the passion that Daniel and pastors he’s working with have for reaching lost people and starting churches to minister to them all throughout the city. 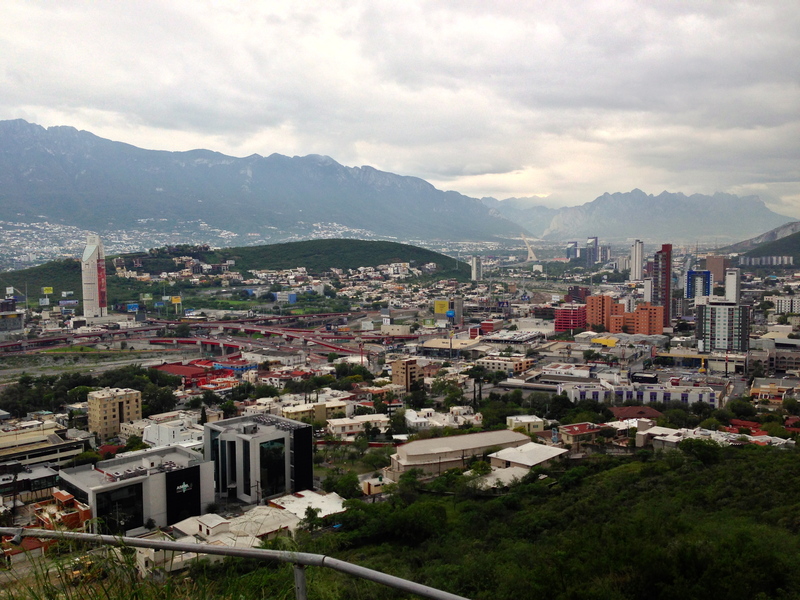 Daniel and I just came back from a vision trip to Monterrey, Mexico. We were both very encouraged to see the system that the Center for Church Planting has in place. 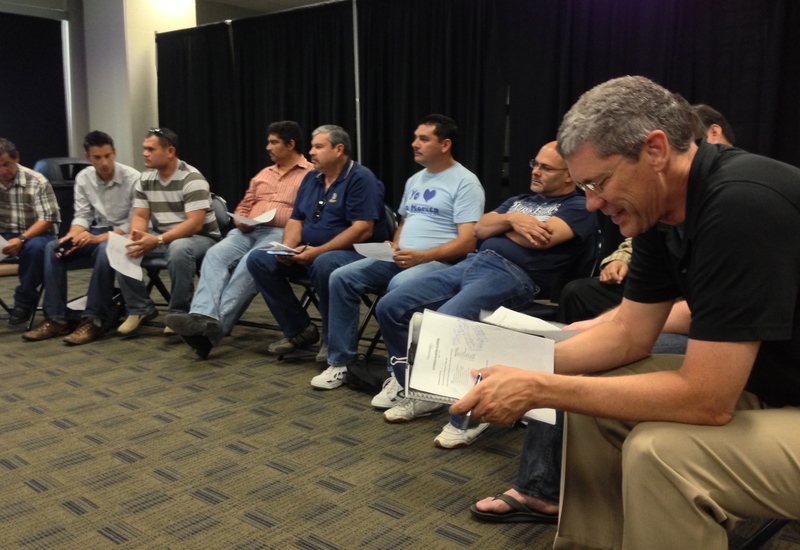 They are doing a great job at assessing, coaching and training their church planters. We’d love to develop a stronger system to sustain the movement of church planting on the border. While we were at the church planting site, we stopped to take some time to pray. We do want to lift up this new work, and ask the Lord to go before Pastor Ivan and his wife, Rocio to see many won to Christ and a strong church planted in the community of Valle Verde. O that this church would be a city set on a hill for this community! Pray with us that God will work powerfully through Ivan and Rocio and all those involved in this project. We also need wisdom as we work on bringing all the loose parts together to get this off the ground. Lord, enable us to do a better job of training and caring for our pastors, so we can do a better job of loving the city! This week I went around Tijuana with Daniel Nuñez and a new friend, JD Pearring looking at some of the new church plants, and dreaming about the future. There is some land for sale that could make for a good site for the next church plant. One of the things I love about Daniel is that he is always looking to grow the church. His goal is to see 50 churches started in 20 years. Lo Mejor del Trigo already has 20 churches, so the Lord is blessing and the churches are growing. JD works with Transformation Ministries and they have a heart to see the kingdom expanded through church planting and church revitalization. I enjoyed the opportunity to meet him, and learn more about the ministry that he is associated with. 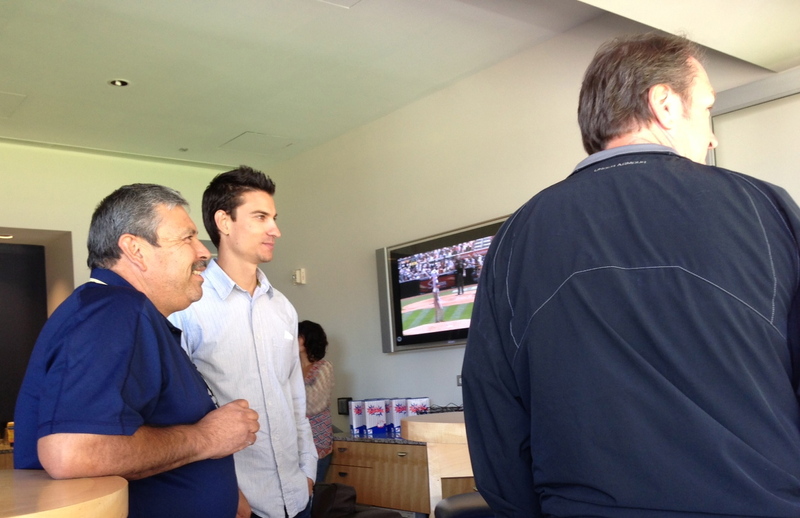 Daniel and JD invited me to go to a meeting at Petco Park for church planters, and then to watch a game after. I didn’t need my arm twisted to accept that invite. 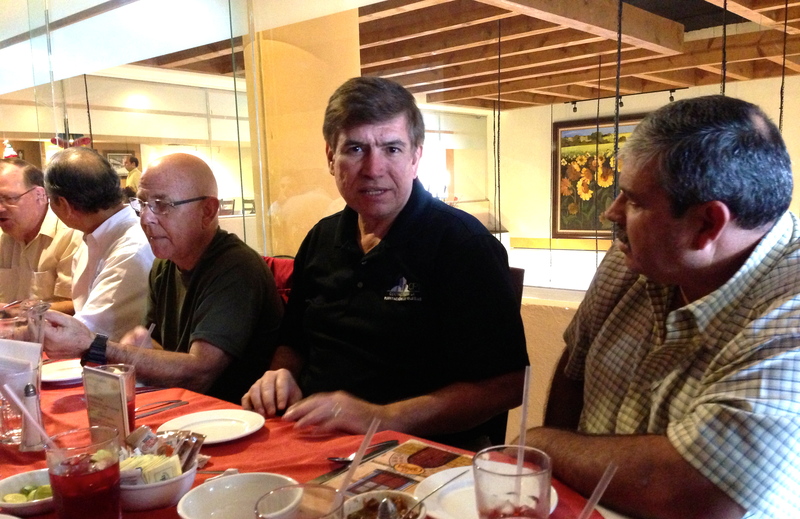 There were a number of pastors and leaders from California and Tijuana at the meeting. I loved meeting and interacting with these men and women who have such a heart for seeing the kingdom of God expanded on earth as it is in heaven. One of my loves apart from church planting is baseball, so it was a great treat to have some fun and interact with the guys at the ballpark! I enjoy interacting with other people who are passionate about the church. I feel like I always come away enriched, and often I even get a few new ideas. There usually are some opportunities to minister together in the future through these connections. I believe that God loves it when different, but like-minded ministries come together for the good of the city. Lord, thank you so much for kingdom connections, and for your heart to see the church built up. I pray that we will see a renewed city and a revived border as we work together for the kingdom. Please guide and lead us along the way. Bring the right people to join us in this effort! Despite waiting 5+ hours in line to cross the border on Sunday, we had a wonderful time of ministry in Tijuana! Bill Yarbrough is a great friend and champion of ours. Did I mention he’s also our boss. Bill along with his wife, Sue and daughter, Elle spent the weekend with us. 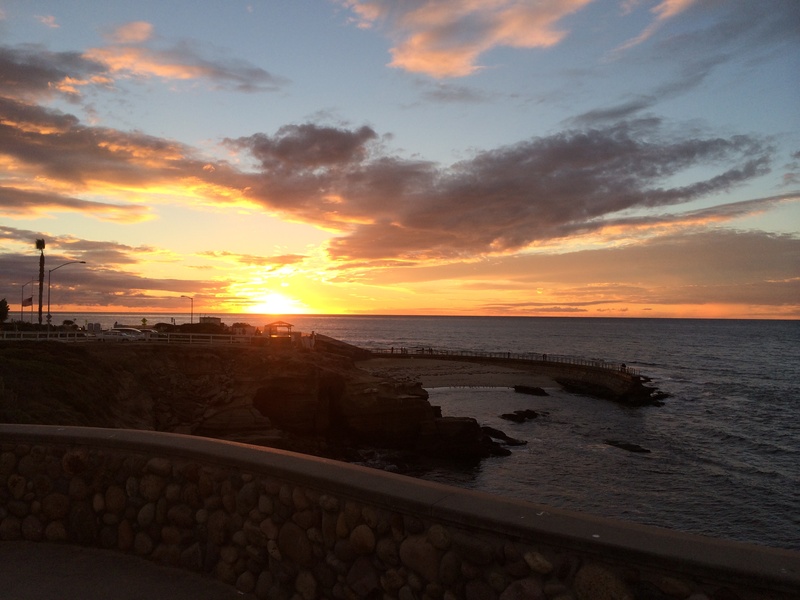 On Sunday Bill accompanied my son, Jon and me down to Tijuana. Last year Bill came down and led a Living in Grace conference with Daniel Nuñez and Lo Mejor Del Trigo. The church loved it. Unfortunately, many Mexican Christians struggle with living a moralistic, legalistic Christianity. Of course, this is not a problem in the U.S., ha ha ;). The Lord used the themes of grace to encourage and strengthen the faith of our Mexican friends. I remember the people laughing as Bill shared some of the things we do in the church to act like we are “good” christians. The focus tends to be on the outward appearance rather than on our heart. The church resonated with this, but Daniel admitted it takes time for people to change. Good things happened after the conference. Those in the church extended grace to him and his family when they experienced a family crisis. Wow! God’s timing is amazing. I may share more specifics about this testimony of God’s grace in a future post. The fact is we are all growing in grace, and we all desperately need to know and experience the love of God and his redeeming grace. Here’s one of my favorite quotes that Bill shared that I’ve heard from others as well. God’s grace is greater than all our sin. Live and grow deeply in this truth. On Sunday Bill followed up on these truths. The Lord is using events like this to strengthen our relationship with Daniel Nuñez and the people in his movement. I’m so encouraged by how the Lord is moving on the border. The gospel does change everything. In one of my last post I wrote about how great it was to work on and complete the church building in eastern Tijuana. 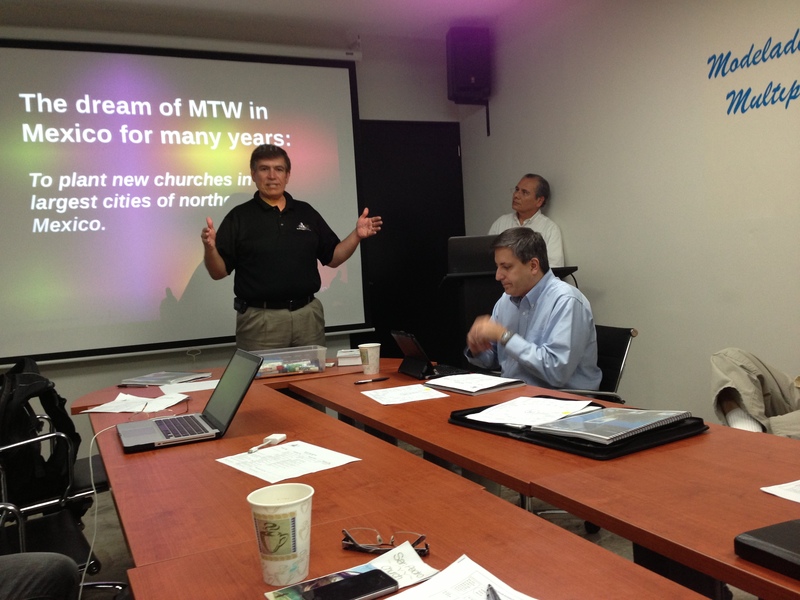 Another amazing thing was to meet with the 17 pastors of the Lo Mejor Del Trigo (The Best of the Wheat) churches. Daniel Nuñez has become a great friend and partner in ministry. He leads the Lo Mejor Del Trigo movement in Tijuana. Daniel has a vision to plant 50 churches in 20 years. The Lord has blessed Daniel and given him 17 churches so far! On Saturday morning they had their monthly pastors meeting. Daniel invited me to meet the pastors. I feel privileged to connect with these pastors, and to begin looking for ways I can be a resource to them. I’m hoping that through my relationship with them it will strengthen them, encourage them and help them and their churches to be more effective in ministry. We will look for ways to connect them with some of the people and resources that Harbor and other churches have.